Mark is a nautical, brand content, and editorial photographer based in San Diego, California. With family roots deeply entrenched on the Hawaiian island of Molokai, Mark's entire life has been spent on or near the ocean. An avid waterman and competitive sailor, he's as comfortable at the helm of a 70' schooner in big following seas as he is paddling out at a remote reef break. Across his 25+ years as an advertising Creative Director, he's crafted fully integrated broadcast, print and digital campaigns for famous brands. His nautical images were showcased in the two-man photographic exhibit, Wind & Water, at the Maritime Museum of San Diego. 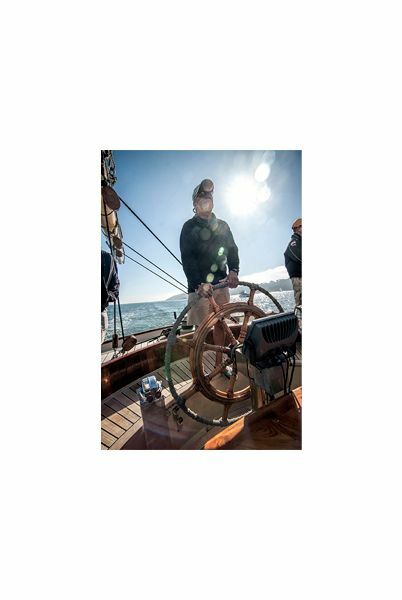 Mark's keen eye and waterman knowledge reveals itself in his nautical and story telling images.